Back in 2016, we were fortunate enough to have a visit to the showroom of Jesse and Jeremy Veverka who were in the process of creating a documentary film about fireworks around the World, the culture behind fireworks and the people in the industry. The film once released was met with great reviews and was lauded as ‘the finest and most interesting movie ever made about fireworks and the people who’s lives are moulded by them’. 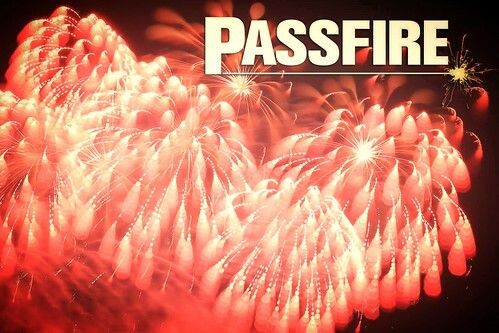 Since the success of the film venture, Jesse and Jeremy and Hannah Basciano (assistant Producer) went on to create PASSFIRE – THE SERIES in 2017 and they are already travelling once again to make a second series. The Veverka brothers worked in countries across Asia including China, Japan, Korea and Indonesia before going into the production of Passfire and the continent holds a very special place in their affections. Basically, if it is pyro related, anywhere in the World, they have been there; from the beautifully picturesque island of Malta for the mechanised firework festival (aka Nar Ta L’art) to Japan to see first hand the magical crafting of the best and some would be forgiven for saying the most expensive shells in the world today. They were in Mexico for the highly dangerous ‘Burning of the Bulls’ to the little island of Chios for the famous ‘rocket wars’ or Rouketopolemos where teams fire rockets from one church to the other to ring the bell of the opposing place of worship. They have filmed across six continents interviewing everyone from the retail outlets to the professional display teams to get a full spectrum of input. 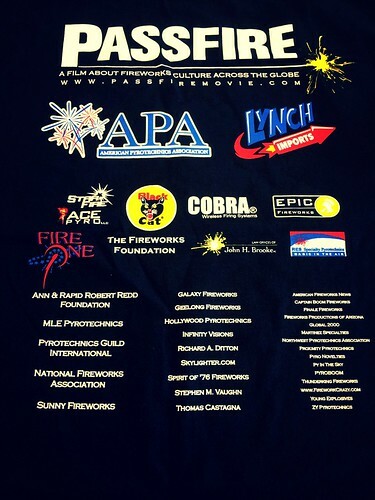 One of the most fascinating was a little closer to home for these American born producers as they attended the meeting of the FPAG (Florida Pyrotechnic Art Guild). This group of firework enthusiasts have adopted many of the riskier sides to the pyro business (not that much of it can be called ‘safe’ but you get the drift); The Mascaletta from Valencia (mascaletta are pure noise created by titanium salutes which sound like rounds of gunfire), girondola (huge flying horizontal wheel), huge Maltese shells and the Castillo which are massive towers with lancework on them high in the air which have girondola at the centre. 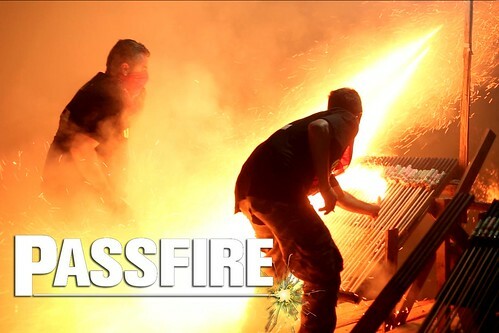 Most recently, they have just been filming the first night of the Philippines International Pyrotechnic Competition over at the S M Mall of Asia. We cannot wait to see the next instalment of this series.